I hope you all are well. Isn’t the weather just lovely today? What have you all been up to? Do let me know in the comments. Today I’ve got for you a post I’ve never actually done before but I’ve wanted to do this for a long time. Recently, I bought a new phone. It’s the HTC One M8. I’ve honestly wanted a new phone for ages and it actually is the best. In my opinion I think its important for your phone to always look good. So I always make sure I have a funky pair of headphones and pretty charms and obviously a super sassy case. I thought I’d share with you which cases I’ve been loving recently. Let me know if you want a post including headphones and charms too. Slim Line Hearts Case – Blackhoney // I got sent this by Blackhoney and I honestly love the simplicity of this case. Its just so beautiful and I haven’t taken it off since I received it. Its a perfect fit for my phone – I love it!! I also love the feel of it super smooth. Do go check out Blackhoney they have phone cases for every phone and they’re awesome! Shout out to Clare at Blackhoney thanks for the awesome packaging it was unicorns&rainbows I WAS SO HAPPY!!! 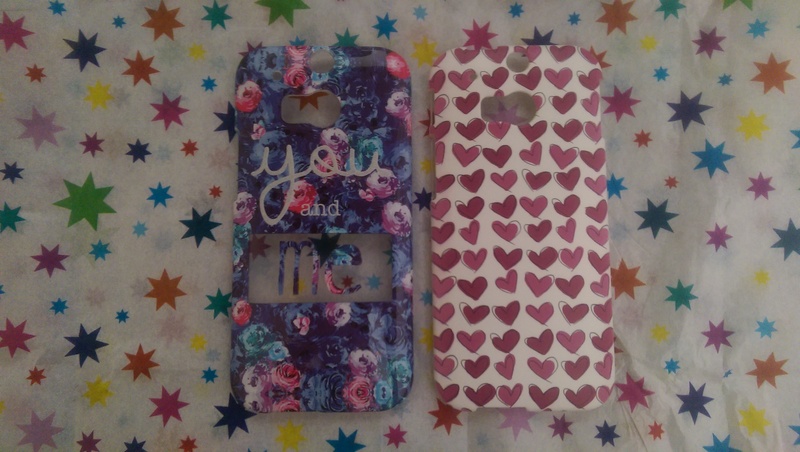 You&Me Floral Case – Claires // I purchased this in-store and honestly I have been loving it as the colours are so summery and it just adds that boldness to your outfit instantly and I just thought the ‘you&me’ adorable. What’s your phone case? Comment below.